Mary Kay has released a new line of concealers. They were nice enough to send them to me so that I could give them a try! The new line includes 6 shades but I received a color corrector as well. You can see in the image above that the color corrector is a light peach color, which is perfect for correcting any darkness under the eyes. Their lightest shade is pretty light which is great for all you fair skin girls out there. I’ve been using the light beige with a touch of the deep ivory. – They provide pretty good coverage, however they aren’t super thick and don’t feel heavy on the skin. They are also easy to blend as they are light in consistency and layer well over the color corrector. – They come with a doe foot applicator which makes it easy to apply. You can either dot it on the areas of your face you wish to apply it on, or spread it for more coverage. 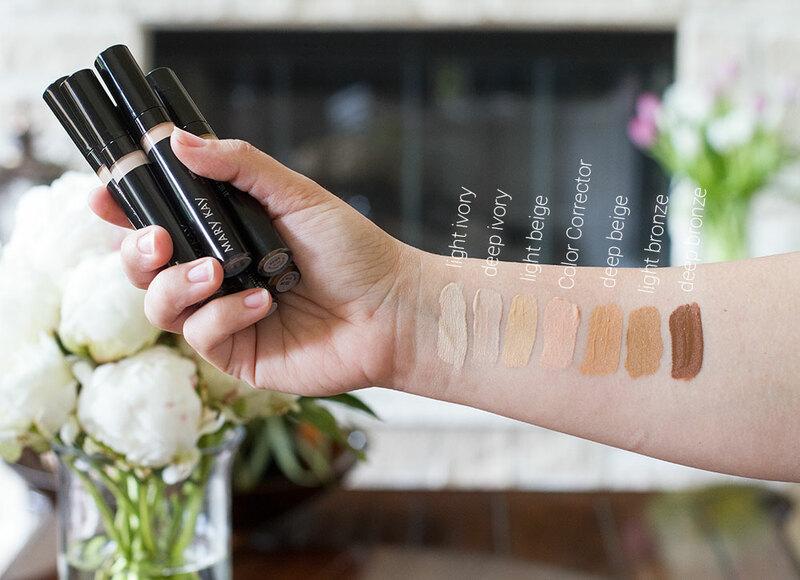 To see the Mary Kay Perfecting Concealer Swatches just watch the video below. *Note: The color corrector is labeled as ‘medium beige’ in the video.